Last month, you sent me a little wake up call. Apparently, there are many moms in our For the Family community who are experiencing a high level of stress! More than one hundred of you commented on my last post about stress. From health issues to bad behavior, from being stretched too thin to blended family mayhem, you often feel depleted and defeated. Let’s talk about a few ways you may relieve your mommy stress today in a healthy and productive way (unfortunately the stash of chocolates has a few side effects). Be the leader. Who’s in charge most days? You or your kids? Even though your three-foot-tyrant may be louder, more demanding, and more energetic than you, remember you are older, wiser, taller and stronger. You can – and will – outlast and outsmart her or him. The fifth commandment of “Honor your father and mother” is there for a reason. Your child will be blessed if he or she learns how to obey you and to respect authority. You are doing your child a great disservice if you cater and bend to his or her every whim. All those extra accommodations made to please your children result in sky high mommy stress. Learn from others who are calm. I’m always amazed at how my husband can roller blade to school with a 1st, 4th, and 6th grader on bikes and he never gets stressed about it. Me? I would stress about the one intersection with a lot of traffic, mostly for my 1st grader. I’d worry about leaving on time. I’d get stressed about locking up the three bikes. 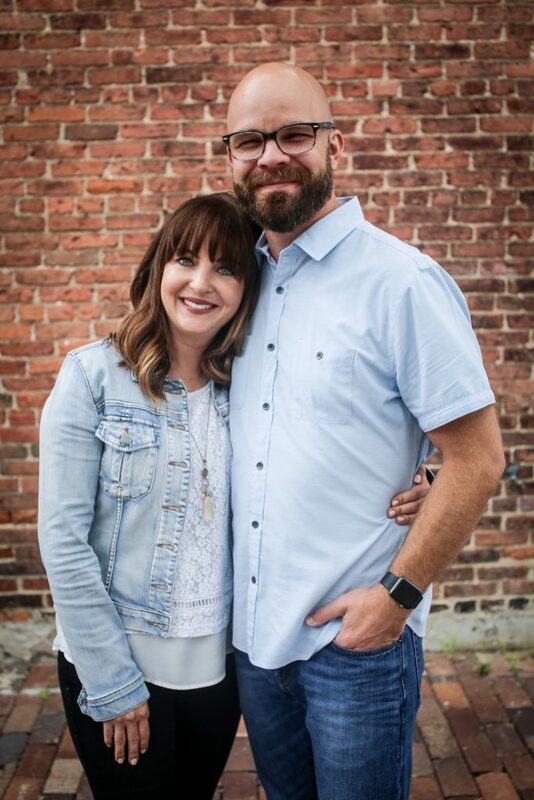 But my husband is as calm as a cucumber…dare I say he’s even fun! Instead of rolling my eyes at him like he’s a moron who doesn’t understand the dangers of the road or the harsh realities of getting three kids to school on time, I could step back and learn from him. Look for calm parents around you and learn from them. Ask them what their secret is. Say no to more activities. Last year, my daughter Noelle really wanted to be in school ensemble. It meant practice afterschool once a week. But with her other activities like piano, martial arts and church on Wednesdays, it was too much. It was hard to say no because she really loves to sing and dance. But that no shaved stress from our family life. Before you sign the dotted line for another class, sport or activity, ask yourself how it will affect your family schedule. If you will be the leader, learn from others who are calm, and say no to more activities, you will reduce your mommy stress by leaps and bounds. Remember, you get to choose the bed you sleep in. If you over-commit to a volunteer project, you’ll be the one up late baking or sending emails. If you let your discipline slide, you’ll be the one reaping the mounting bad behavior of your child. If you see yourself as a victim of your circumstances, you will be hopeless. You won’t see any places for change or improvement and you’ll feel stuck. However, if you see yourself as more than a conqueror in Christ, as someone who will grow through this demanding season, hope will fill your heart. You will move forward. You will be less stressed and more at peace. 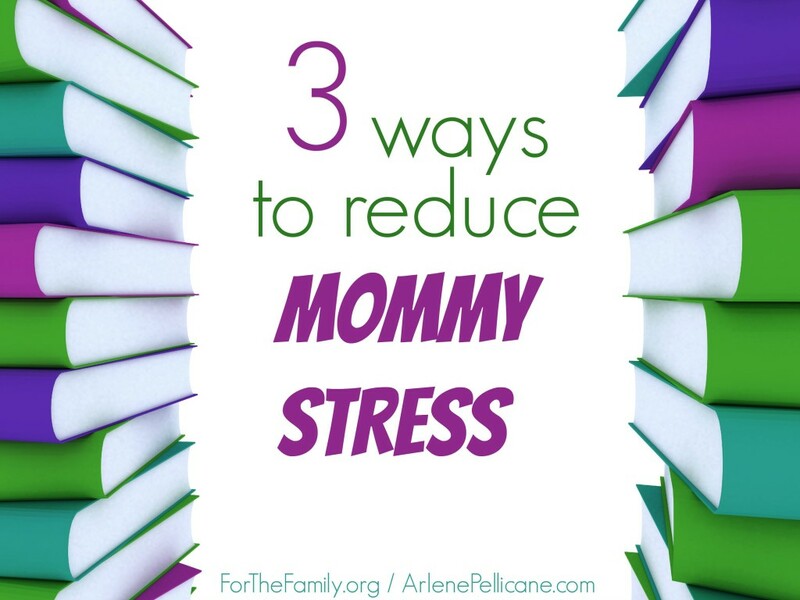 So what are you doing to do to reduce your mommy stress today? Even the smallest change can be significant! Arlene has been featured on the Today Show, Family Life Today, K-LOVE, The Better Show, The 700 Club, Turning Point with Dr. David Jeremiah, and TLC’s Home Made Simple. 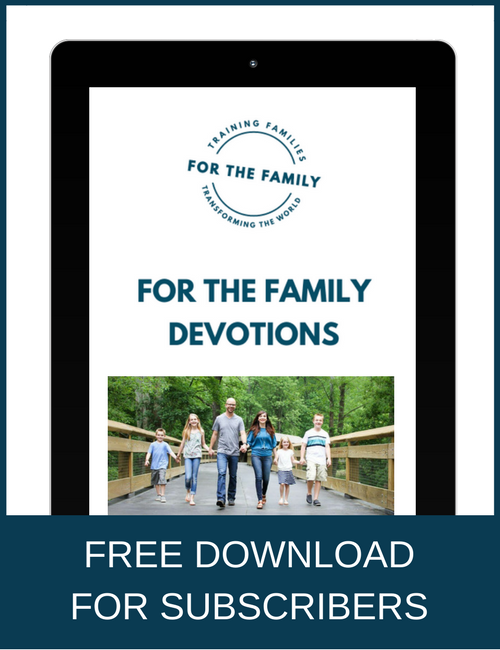 Visit Arlene at www.ArlenePellicane.com for free family resources including a monthly Happy Home podcast.